Valentine’s Day is one of my daughter’s favorite holidays. Why, you ask? Pink, purple and hearts. To my sweet four year old it doesn’t get much better than that. 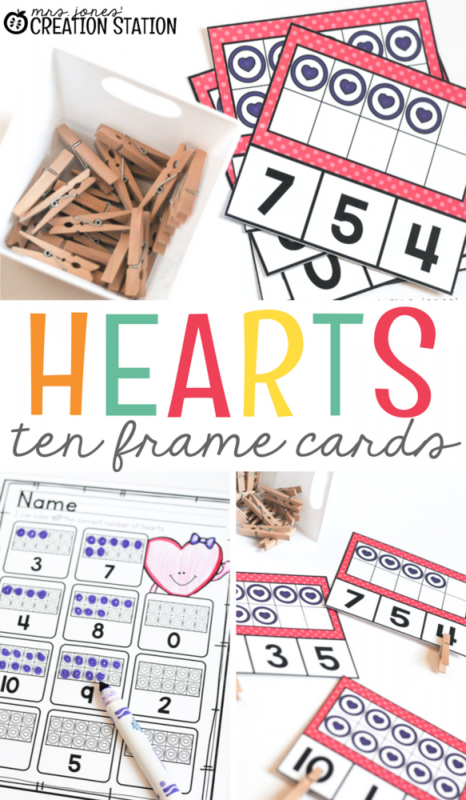 So when I present a beautiful array of pink and purple hearts in the form of a math center I know it will be a hit. 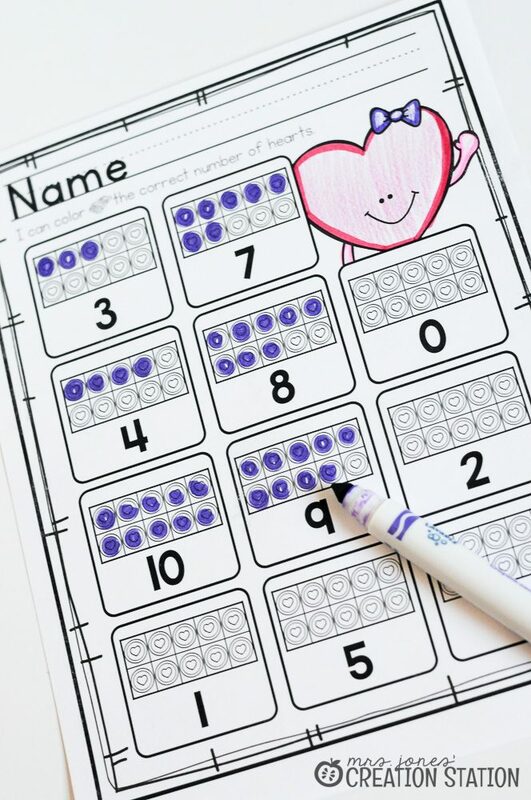 When Valentine’s Day comes around, most of the girls in my classroom love to seeing all the frilly and lovely math centers. While I try to promote an atmosphere where all colors and doodles are created equal…let’s face it…it might not always be the case. Unicorns, mermaids and hearts are bound to turn a little girl’s head and if it gets them practicing math skills…why create a fuss? That is why this math center (and others that may be classified as “girly”) are always on hand. 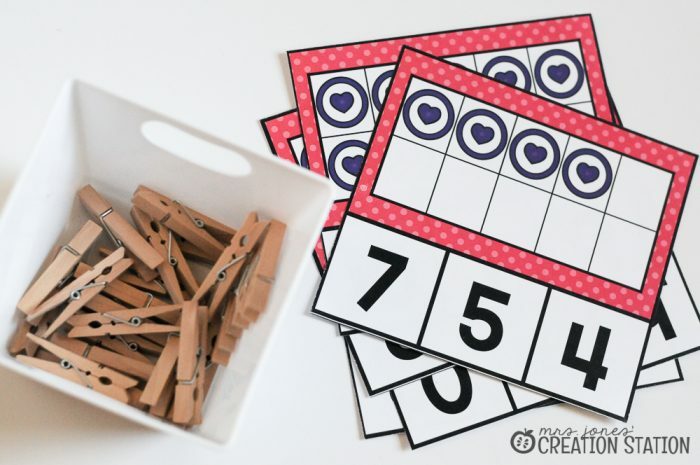 These fancy activities help to get my little ones engaged whether they are done in February or on a random Thursday. 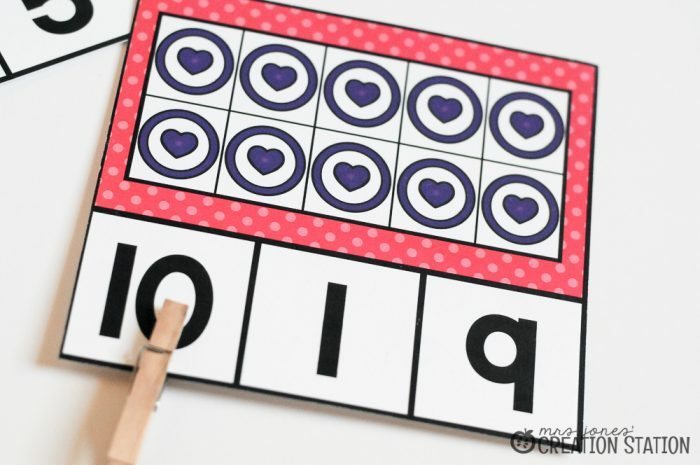 Ten frames create a method in which learners can see values being created. 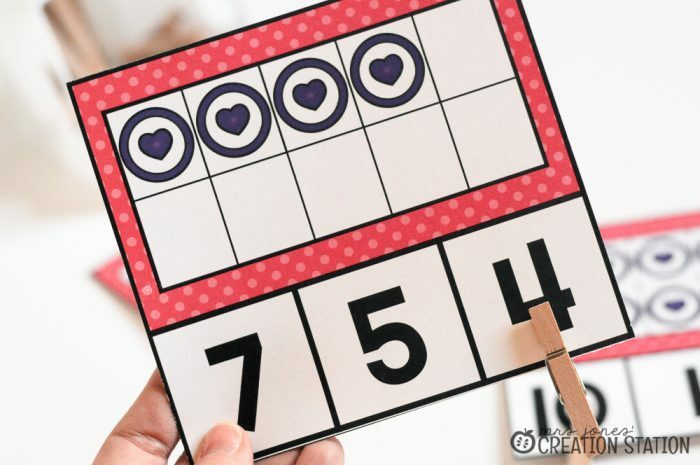 Having resources on hand that allow learners to see and define the value of a number gives them the opportunity to build their number sense. You can grab this math center and the workpage included by clicking on the MJCS download image at the bottom of this post. 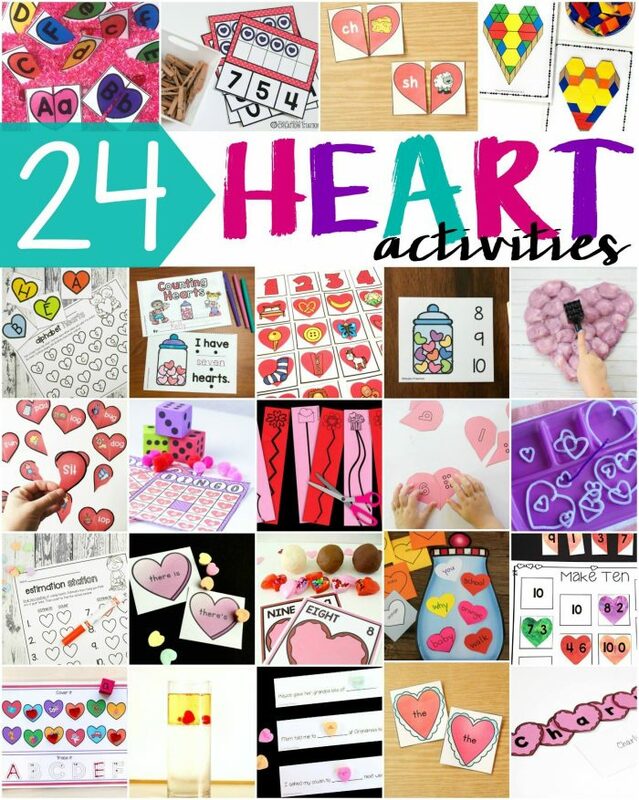 You can also find more heart activities from some of my favorite bloggers below.